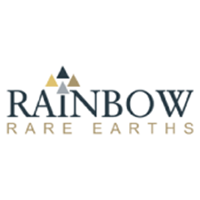 The share price for Rainbow Rare Earths Ltd with company EPIC: LON:RBW has stepped up 3.73% or 0.07 points during the course of today’s session so far. Buyers have stayed positive during this period. The period high has peaked at 1.95 and hitting a low of 1.95. The total volume of shares exchanged through this period comes to 17,025 whilst the average number of shares exchanged is 280,251. The 52 week high price for the shares is 23 which comes in at 21.12 points in difference on the previous days close and a 52 week low being 1.55 a difference of some 0.33 points. Rainbow Rare Earths Ltd now has a 20 SMA of 1.92 and a 50 day moving average now of 2.39. The current market cap is £3.87m at the time of this report. The share price is in Great British pence. Mcap is measured in GBP. This article was written with the last trade for Rainbow Rare Earths Ltd being recorded at Friday, April 12, 2019 at 11:03:00 AM GMT with the stock price trading at 1.95 GBX. The trading price for Smurfit Kappa Group Plc with EPIC code: LON:SKG has climbed 3.69% or 83 points during today’s session so far. Traders have remained positive during the session. The periods high figure was 2337 and a low of 2248. The total volume of shares exchanged through this period comes to 227,472 whilst the average number of shares exchanged is 662,441. The 52 week high for the share price is 3308 which is 1056 points difference from the previous days close and the 52 week low at 1915 which is a variance of 337 points. Smurfit Kappa Group Plc now has a 20 SMA at 2268.65 with a 50 day moving average at 2272.26. The current market cap is £6,536.19m at the time of this report. The currency for this stock is Great British pence.Market cap is measured in GBP. This article was written with the last trade for Smurfit Kappa Group Plc being recorded at Friday, April 12, 2019 at 11:59:34 AM GMT with the stock price trading at 2335 GBX. The trading price for Standard Chartered PLC with ticker code: LON:STAN has risen 3.02% or 19.6 points in today’s trading session so far. Buyers seem confident during the session. The period high was 669 dropping as low as 652.2. The total volume of shares traded by this point was 1,616,443 with the daily average number around 8,178,146. The 52 week high for the share price is 787.3 about 137.9 points in difference on the previous days close and a 52 week low being 514.2 making a difference of 135.2 points. Standard Chartered PLC now has a 20 SMA of 622.65 and the 50 day SMA of 624.94. This puts the market cap at £22,204.52m at the time of this report. The currency for this stock is Great British pence.Market cap is measured in GBP. 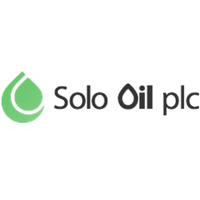 This article was written with the last trade for Standard Chartered PLC being recorded at Friday, April 12, 2019 at 11:59:53 AM GMT with the stock price trading at 669 GBX. The stock price for TUI AG with ticker code: LON:TUI has risen 2.09% or 16.2 points during today’s session so far. Market buyers are a positive bunch during the trading session. Range high for the period has seen 793.4 and hitting a low of 760. Volume total for shares traded at this point reached 1,233,561 while the average shares exchanged is 3,557,167. The 52 week high for the shares is 1816 about 1040.6 points difference from the previous days close and putting the 52 week low at 686.6 which is a variance of 88.8 points. TUI AG now has a 20 moving average of 779.37 and now its 50 day SMA of 849.91. The market capitalisation currently stands at £5,373.42m at the time of this report. All share prices mentioned for this stock are traded in GBX. Mcap is measured in GBP. This article was written with the last trade for TUI AG being recorded at Friday, April 12, 2019 at 11:59:36 AM GMT with the stock price trading at 791.6 GBX. Click RBW SKG STAN TUI for the full archive.